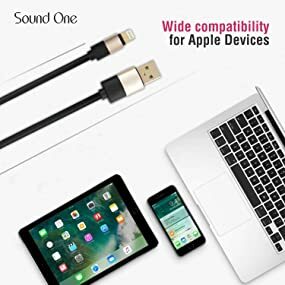 Lightning connector is compatible with every Apple Lightning connector device when syncing & charging all Apple lightning devices. High performance full charging speed capability that can deliver up to 2.0A current. 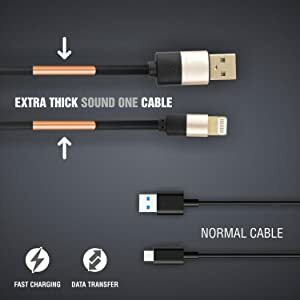 Use it to connect to your computer for data sync, or charge up your device on USB charger. 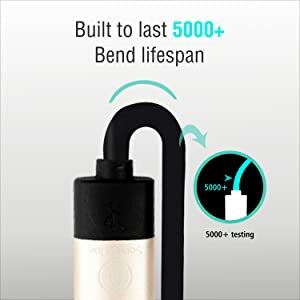 Perfect Size 3 ft (1m) bendy silicone Cable with Lightning Connector for power bank,car,home,travelling and office. 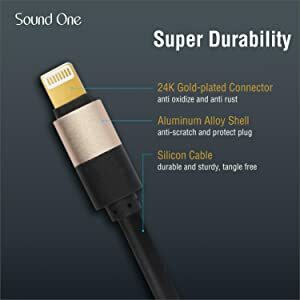 The Sound One Lightning cable is made keeping durability and performance in mind. Cables are subjected to quite a bit of stress daily, and these cables have been made to withstand those daily knocks and pulls. We’ve used hard PVC for durability and innovative engineering to create an almost-unbreakable bond. 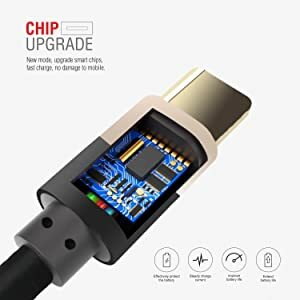 Advanced Chip ensures protection from over heating and extra current . 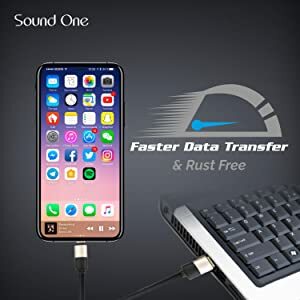 It is designed for Safe use for any device for fast charging or data transfer . 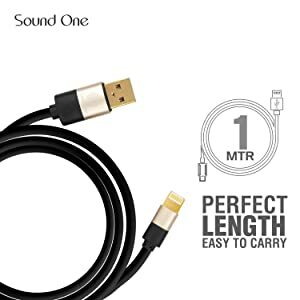 One meter (3.3 Feet) is the perfect length to carry while on the move and also at home or office . 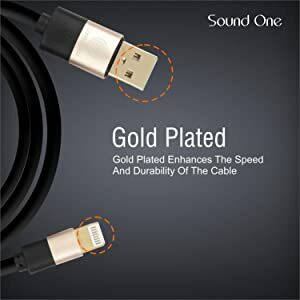 Thanks to wide diameter wires and reduced cord resistance,Sound One Silicone Cables enables the fastest possible charge speed via any USB charger.